I’ve often try to explain what football means. I’ve often tried to explain what Arsenal mean to me, but the majority of the time, I’ve failed. Even to those close to me. People often put match going fans into a different bracket to non-match going fans in terms of their passion for a club because of the money they spend but I generally reject that idea but think the amount of ‘time’ someone puts in is the key indicator to how much they can be affected by their club. If you invest time into something, in particular, a football club, whether that’s attending matches, being active in a supporters club / trust, running a blog or podcast, producing content around football in form of social media and invest time in Arsenal then you will probably be hurting recently. Due to personal reasons, I had to miss the Bayern trip, and I watched it in the comfort of my own home which is rare (I really should cancel my sports subscription – but I won’t because of the ‘time’ I put in). If I’m not at a game, I tend to experience different feelings / emotions. I have more time to think and more time, sadly, to be affected in a negative way after a loss for longer. When you are at a game, you tend to have to travel, you tend to have discussions and often rant to get things out your system (perhaps why phone ins / fan tv channels get so many viewers) but when you are not at the game, you may lose all that. The other additional experience you get is to watch the post-match interviews including an interview with the managers involved – this was really the moment, where my feelings came out. I'm told no players stopped in the mix zones and Arsene Wenger limited his media commitments. There has always been an elephant in the room when it comes to Arsene Wenger, I’ve been in many conversations when people, due to their respect (rightly so respect) they tend to avoid the subject. I was probably one of them for years, certainly up till about a year or two ago. But that interview, seemed like a pivotal moment. He sounded like a broken man, who knows his time here, is over. When you see pundits who have been going for him, take a step back and actually feel sorry for him, you know the end is near. 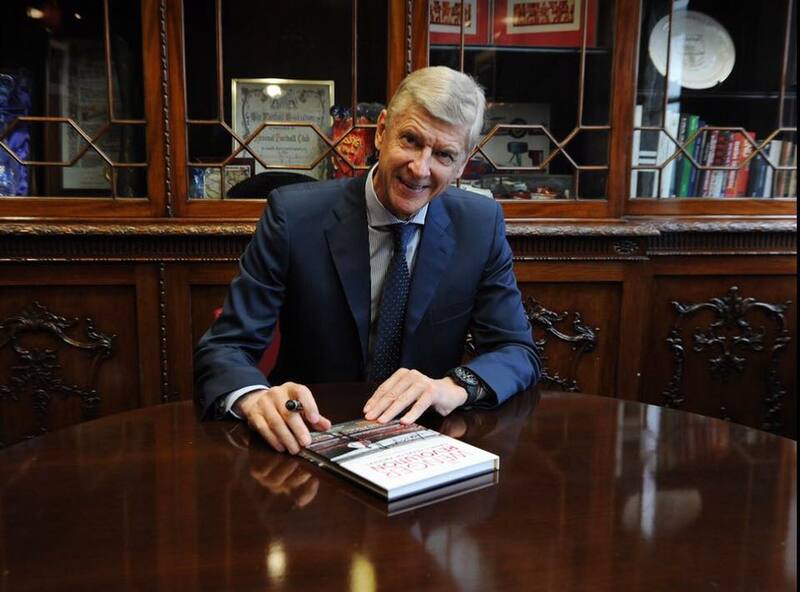 Arsene Wenger has been a fantastic manager, leader, CEO, bank manager and even project manager for this football club. In years to come, people that love Arsenal will look at the Wenger era as ten years of trophies and the other ten years successfully negotiated the stadium move (with a few FA Cups). He should have a statue outside the ground, he should have his name sung every so often (and I’m convinced he will, once the dust settles in a few years) and go out proud of his achievements. The legacy may only remain, if Arsene Wenger leaves Arsenal this summer. Staying on has a major risk, if the ‘same old’ continues then that legacy may be in serious danger of vanishing. Some will argue it already has and off course they are entitled to their opinion and I respect them; football is about opinions, after all. But I would HATE for the legacy of our most successful manager in our history to be tarnished especially when he contributed to the transition of the stadium move that puts us in a position to hopefully compete at the top of the game for years to come. For what it’s worth, I thought there was a game plan in Munich to sit deep, counter with pace and that actually brought us a couple of good chances plus two free kicks and a few corners in the game and at half time, I was quite comfortable. After we rode the storm of the first 30mins and got a goal, we had a bright 10-15mins. We even came out in the second half quite bright for a few minutes but it all just wrong from the 50th minute. I don’t particularly blame Arsene Wenger for last night, I think he influenced the loss at home to Watford much more with his starting line-up then he did yesterday. I would have preferred Danny Welbeck to play but I can’t believe Arsene wouldn’t pick him if he was 100% fit – perhaps returning from injury and getting another injury last season has impacted on the decision to limit his game time so far. But the problem isn’t about one game, it’s about the mentality, it’s about folding when the going gets tough, it’s about not being able to keep up a sustainable challenge and it’s about the same things repeating itself for several years. On a personal level, I’ve found the criticism that Arsene Wenger has had to take, very tough to hear. He has been here such a long time, and majority of my ‘Arsenal supporting’ life and therefore some of his principles and philosophies have really grown on me. I’ve met him several times, even got a wedding card from the club which he personally signed and has always acted with class every time I’ve interacted with him. I’ve the upmost respect for the man – but like everything in life, nothing lasts for ever. I’ve had jobs that I’ve absolutely enjoyed and loved and been very passionate about and continued to be an advocate even when I’ve left – but the key thing there is, I have left when I felt the time was right and many would argue the time was right after winning the FA Cup at Wembley against Hull a few years ago but I think even more would agree the time is right now. The club in general is in great shape, the level of consistency Arsene Wenger has brought to the club has been tremendous and everything is in place for Arsenal Football Club to continue to grow and be a major player for the next 100 or 200 years and Arsene Wenger has played his part as much as anyone – for that he should walk away with his head held high. He deserves the big farewell – if he announced it now, I’m not convinced all fans would rally because some may want him gone earlier but I think it would give those, like me, the opportunity to enjoy the rest of the season which hopefully would conclude with an FA Cup and a good run in the league, with a win at White Hart Lane being the highlight. 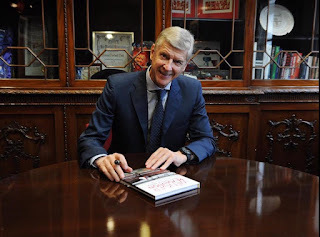 Arsene has have been absolutely wonderful for this club and for that, I'll always be grateful but nothing lasts for ever, but he will always be a huge part of this club and is a true Arsenal legend. There is only one Arsene Wenger.